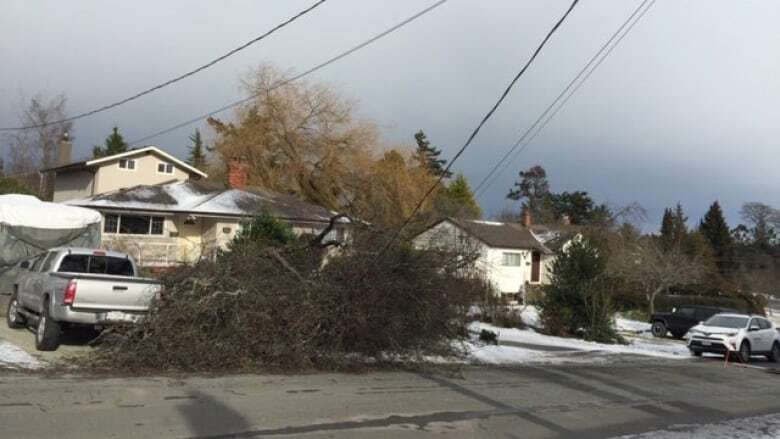 More than 12,000 customers were still without power in British Columbia early Sunday morning following a windstorm. Environment Canada says the region isn't out of the woods yet. 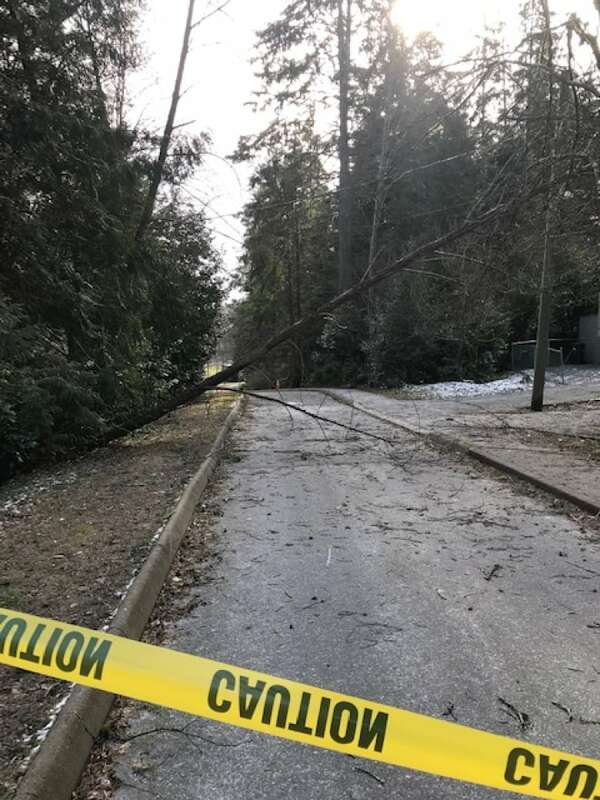 The Metro Vancouver area was subject to a special weather statement, with the national forecaster predicting a weaker storm. BC Hydro is asking residents to make sure they have emergency supplies. Retired farmer Jom Gardiner struggled to get his generator to work on Saturday in Langley as he coped with the strong winds that knocked out his power. But he was taking the weather in stride. "We're accustomed to outages," he said. "This happens once in a while. We have flashlights and stuff like that." The wind was so strong that a barge partially sank at Sewell's Marina in Horseshoe Bay on Saturday morning. Tess Baker said she was waiting for the ferry when she saw a "big cement barge carrying speedboats and Zodiacs" tip over and sink. It appeared that about nine boats have also been swept up onto the beach, Baker said. "It's windier than I've ever seen it here in the harbour." 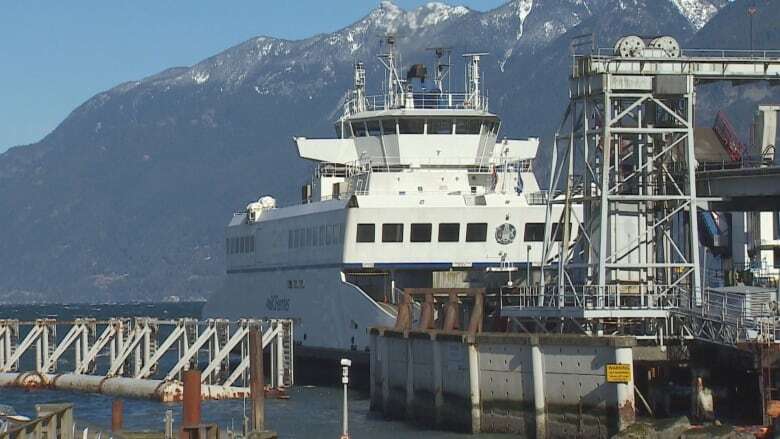 The Canadian Coast Guard said in an email that the barge capsized as a result of the storm. It said several rental boats, as well as used oil and fuel drums, ended up in the water. The agency said there is no visible sign of pollution, but marina staff can smell fuel. If there is a visible sign of pollution, the marina, along with nearby BC Ferries, have pollution-response equipment available to be used. Meanwhile, BC Hydro spokesperson Kevin Aquino said hydro crews have been repairing damaged power lines, power poles and transformers. Officials warn that downed power lines should always be assumed to be live and are considered an emergency situation. If you come across one, stay 10 metres away and call 911, they urge. Meanwhile, Environment Canada says snow across the South Coast is possible, with up to 10 centimetres in some places, such as southern Vancouver Island. There otter be a solution: Could hot dogs have saved koi from nights of 'terror'?